​while finding a way for every child to attend LCA. May qualify for up to FOUR $500 scholarships. Our desire is that no student will be unable to attend LCA because of financial concerns. ​We want to find a way to reward and incentivize families for their life contributions and active involvement. Each scholarship will be based on proper evidence and a personal interview. *Full-time Senior Pastors qualify for 50% the tuition cost. THE FOLLOWING SCHOLARSHIPS ARE $500 PER STUDENT UPON QUALIFICATION. THE FOLLOWING SCHOLARSHIPS ARE $1000 PER FAMILY UPON QUALIFICATION. Our goal is to provide an exceptional learning, social & spiritual environment while finding a way for every child to attend LCA. Financial hardship cases will be reviewed on a case by case basis to make sure that every family can send their children to Lakeside. 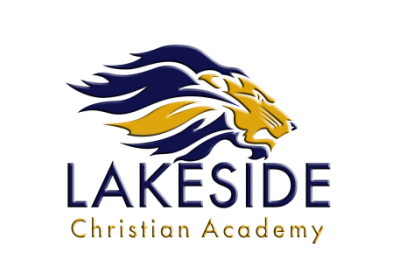 If you are interested in finding a way to help your children attend Lakeside at a tuition price you can afford, please fill out the form below and we will contact you directly. Gulf Coast Bank is partnering with LCA to provide a tuition program for parents to pay their tuition in monthly installments. *Guaranteed loan without a credit check. All application forms are available for online submission below. ​For those who do not wish to complete applications online, you may download each application to view at your own pace. If you wish to submit via the USPS, simply print out the desired form(s) and attach a check for $50 per application form when you send through the mail. For those who do not wish to complete applications online, you may download each application to view at your own pace. If you wish to submit via the USPS, simply print out the desired form(s) and attach a check for $50 per application form when you send through the mail. LCA Application Fee for the upcomingschool year.